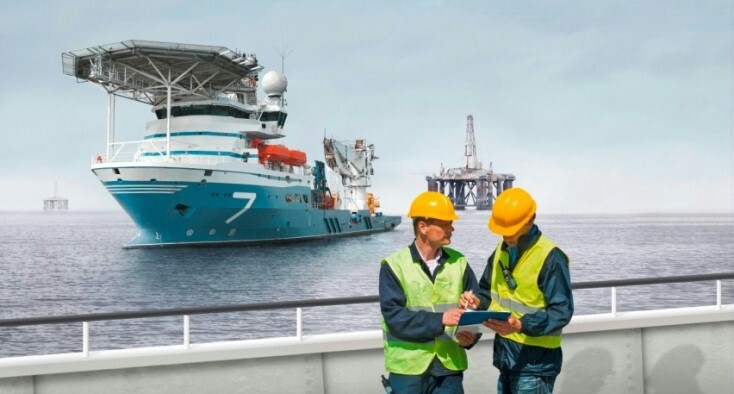 Rexroth offers a comprehensive portfolio to the marine and offshore industry that varies from standard products up to Engineered-To-Order solutions. Bosch Rexroth is one of the leading specialists worldwide in drive & control technology. Rexroth offers a comprehensive portfolio to the marine and offshore industry that varies from standard products up to Engineered-To-Order solutions. 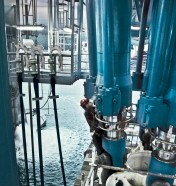 Please get in contact with Bosch Rexroth offshore specialists directly. Be it in tropical seas or the Arctic sea, in coastal waters or in a depth of 5,000 meters: Offshore applications always have to stand the test in extremely harsh environments. As an appreciated partner in the marine and offshore industry, with over 50 years of experience, Rexroth understands these needs. For divers activities in the offshore industry, such as drilling, mining, decommissioning and subsea operations, Rexroth has developed drive & control solutions. These solutions can vary from standard products like motors and large hydraulic cylinders, to complete jack up and heave compensation systems. For more information about electric drives and controls please take a look in our product catalogue. 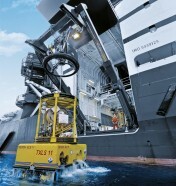 No matter what kind of unique marine / offshore challenge you are facing, Bosch Rexroth is able to assist. In close co-operation at design, manufacturing, project execution and life time management we have been able to successfully solve great challenges.